“You’re here. It’s right there.” They point across the street. “There’s one more parking space back there,” the woman says, pointing behind them. The small driveway is tucked between two university buildings. I smile, wave and thank them and maneuver my rental car into the one final spot. I’ve come a long way to see this. 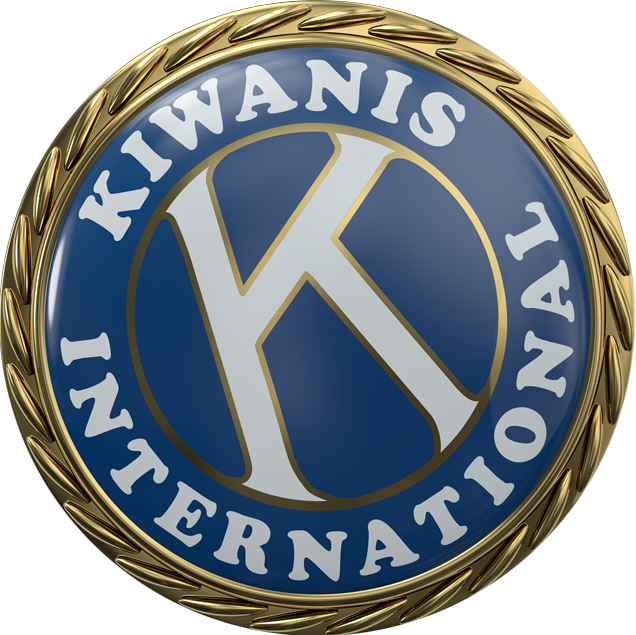 Fact is, there are many Kiwanis clubs around the world with signature projects that touch thousands of lives. These are the projects legends are made of—or at least make for great Kiwanis stories. This is one of those stories. After hearing about the New Zealand science fairs for years, I had to come here to see it for myself, and to see what Kiwanians in this country are doing with this widespread project that—this year alone—will reach more than 20,000 students. This is the first stop on my multi-city tour. I just got off the plane after 26-plus hours of travel and drove directly here, to the University of Waikato, Hamilton, on the North Island. All for science. I find my way with the rest of the crowd and settle into my seat in the auditorium. Kiwanis members, along with representatives from science fair sponsor NIWA (National Institute of Water and Atmospheric Research), are at the front of the room, surrounded by tables of prizes, including certificates, trophies and gifts. As things get underway, one by one, the science fair students are called to the front of the room to receive their prizes. By the end of the night, thousands of dollars of prize money have been awarded and another year of the NIWA Waikato Regional Science and Technology Fair is in the books. Now that I’m here, I finally get to put a face to the Kiwanian whose name I know only through emails. Murray Price is a member of the Kiwanis Club of Westside Hamilton. He’s been right up front, in the thick of things, and he tells me Kiwanis has been active with science fairs in New Zealand since, well, since the beginning. As has his club. It’s tough to make a list of all the ways Kiwanis has worked with science fairs here. And I tried. But as soon as we think the list is final, someone calls out something else from across the room. “Remember that time when we …” If a Kiwanis nation were known for a signature project, it would be New Zealand and science fairs. It’s just what they do. Price reports there were about 400 entries in this year’s Waikato fair, which is down from other years but up from this past year. In its heyday, Price says, there would be about 600 entries. But entries have dropped off quite a bit—especially among seniors. Price says first and foremost, the schools that do well in the science fairs simply must have passionate and dedicated teachers behind the scenes, pushing the students. St. Peter’s School is an example. The school has at least one dedicated science teacher at the science fair—and multiple winners. Some even won multiple prizes. Sam Frengley is a senior at St. Peter’s School. It’s the end of the ceremony, and he’s having trouble juggling all of the balloons, certificates, gifts and the Best in Fair 2015 trophy he won for his soil-analysis display, What Is the ‘Phate of the Gully, as he talks about one of his special honors, a NIWA scholarship. It’s a couple days later, and I’ve made it to Rotorua, to the NIWA Bay of Plenty Science and Technology Fair. I’m standing in a sea of young scholars, their school uniforms creating a colorful motion blur as they whiz by me in all directions, chatting, laughing, comparing, discussing. The ones who aren’t moving about have taken to the floor, the long hours and hard work showing some signs of wear and tear. I maneuver carefully, so as not to get blown over by or to step on a young Kiwi. Asty Bosley and Leah Jones take a minute to talk to me about their project, Re-Think Your Drink. The 13-year-old girls chose the project to show how much sugar their classmates from Rotorua Lakes High School consume. “It was very interesting to find out that heaps of our classmates weren’t quite educated on how much sugar is in the typical fizzy drink,” Leah tells me matter-of-factly, pointing out that many students didn’t realize orange Fanta beats all the competition from their tests—44 grams of sugar compared with Coke’s 38 and Sprite’s 35. The girls are well spoken while explaining their project. They are poised and play well off one another’s answers. Just going through the steps of the Scientific Method isn’t enough—students must be prepared to present what they’ve learned and answer questions thrown their way. Bosley and Jones handle it like pros. And they even have some advice for any students considering taking part in a future science fair. “Just do it because it’s really fun. And it’s a great experience,” Bosley says. The girls’ Re-Think Your Drink exhibit won the Rotorua Lakes Council Mayoral Award. As students wait to discuss their exhibits with the judges, Kiwanian Mark Franken is playing maestro. He’s pointing this way and that, getting students, judges and visitors where they need to be. He’s flanked on both sides by other dedicated Kiwanis members doing their own pointing and filling out of paperwork and acting as greeters. It takes many, many hours of hard work to bring this science fair together. And everything seems to be going just fine as the judges get to work. Listening in on the judging process, I realize how many hours are spent and how seriously the students—and judges—take this. There are lots of nods and “m-hmms” to show agreement. The project is Speed Whiz, by 11-year-old Cole Anderson. Anderson developed a road safety sign that adjusts the speed limit based on the amount of water that falls on a sensor on the sign. This science fair isn’t new to Anderson’s family. In fact, he sits to talk to me alongside his older brother, Finn, who finished second last year and brought home several awards this year for his ongoing project: a carrier for boogie boards and knee boards, which he says is “for people with short arms, like me.” Finn already has gained the attention of a surf shop that’s interested in selling his product. Once it’s finished, of course. The boys take home quite a bit of prize money, but they aren’t bragging about it. “We do feel a bit bad since we both won,” Best in Fair award winner Cole says. When the crowds have thinned, Franken sits down to tell me how things went. “Some Kiwanis clubs simply put up a prize, but here, we are setting up the whole thing,” says Franken, member of the Kiwanis Club of Roto Whenua, Rotorua. “This year, I’ve seen some wonderfully inventive stuff. When you get an overall winner who is only intermediate age, you wonder what they’re going to come up with in the future. Certainly some stunning things. So, the standard overall was quite high. We had more seniors this year, which is really good. We had 119 exhibits from 13 schools this year, and we gave out about NZ$5,000 in prize money. Kiwanian and NIWA Wellington Science Fair Regional Chairman John Warriner stands at the microphone in front of a crowded auditorium inside Victoria University of Wellington. He and a few speakers take their turns with wise words to the students and thanks to the families, and then the 51st Wellington Science & Technology Fair prize-giving is underway. This fair runs like clockwork. The students are seated in rows by order of their prize, meaning the process from standing, walking to the front of the auditorium and back to the assigned seat goes perfectly, in a somewhat circular pattern, with students popping up and down and walking around in controlled chaos. Think of a Rube Goldberg machine. Only with people. Winners at the Wellington science fair have a lot to be proud of—awards range from $1,000 in cash to an iPad to a $4,000 scholarship toward fees in the first year at Victoria University, granted you are planning to study science or engineering. In total: $15,000 in prizes. There are 37 prizes listed in the program and almost as many sponsors. This is not only a NIWA and Kiwanis event—this is a community event. “We’re pulling it off, but we’re not on our own,” says Warriner, member of the Kiwanis Club of Wellington. “We work with some really magical people in the community. We work as a team. Jacqui Ormsby is 13 and attends Wadestown School. She took part in the science fair last year and won seven awards this year, including Best Overall Exhibit, for her project titled Would Wood Filter? She said she was surprised to find that white pine trees were being used to filter water in the United States, but when she tried pine in New Zealand, it didn’t work at all. This story originally appeared in the August 2016 issue of Kiwanis magazine. I’m so glad that I opened my online mail today! What a treat to see such young and talented students who’ve obviously worked very diligently to participate in your Science Fair! It’s obviously a lot of work. The behind the scenes planning must be an extensive process. The cooperation of the community is really terrific! It would be lovely to see a fair in action via video.